This is the perfect set of ornaments for a Doctor Who fan! 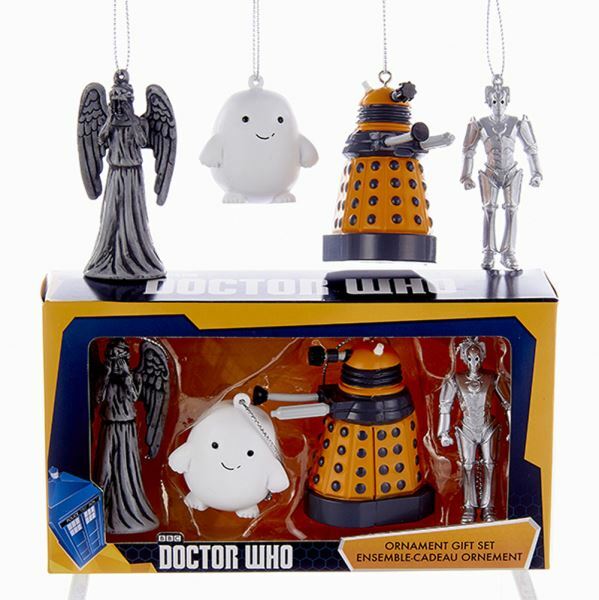 The set includes four hanging decorations. One is a feared Weeping Angel, another is an Adipose. There's an orange Dalek, and, finally, a Cyberman! This would be a delightful gift idea, or a thoughtful Christmas stocking stuffer!